Rio Grande do Norte, a northeastern state located in Brazil is a place filled with natural wonders. It is also known as the Great Northern River and is one of the most populous cities in the country. 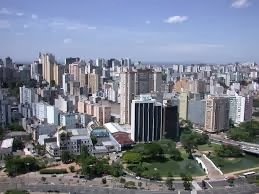 The capital city Natal, also called as the City of Sun is the major destination that attracts thousands of visitors to this place round the year. Blessed with amazing natural delights, this place is not only a perfect place for fun but it also offers peaceful beaches for resting. The rich culture, white sandy beaches, preserved forests, historical monuments, sweet water lagoons, archeological sites, amusement parks etc. make this place an amazing destination for holidays. 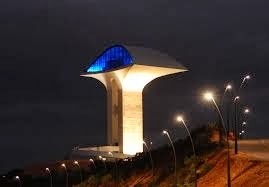 The tourists can reach this place via Salgado Filho Airoport located in Porto Alegre. 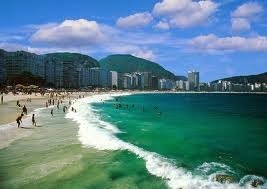 Mostly the international flights operate from the international airports located in Sao Paulo and Rio. Commonly known by the name of Parque das Dunas, this park is spread in about 1172 hectares and acts as a reserve for dunes and forests. 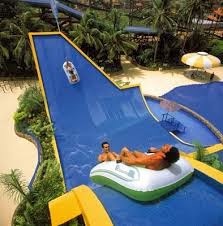 Located in the city heart, this place is the largest urban park raking at second position in Brazil. 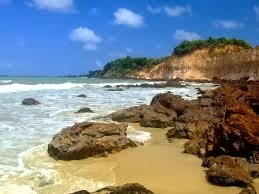 This place is located in Natal and is known for its amazing combination of greenery, dunes, mountains and sea. This beautiful place is located near a small village Ponta Negra which is mainly a fishing village. The visitors can either go exploring this village or can enjoy the beach activities and relax in the sun. This amazingly beautiful park is spread in an area of about 64 hectares and was designed with the main aim of environment preservation. This park comprises of jogging lanes, eco trails, orchidarium, library, auditorium and a central tower which is taken as the memorial of city. This beach is a highly active one with lots of visitors that come here to enjoy the several water activities. There are some who also enjoy relaxing in the smooth sand on the beaches. The state of Rio Grande do Norte offers the best hospitality to the visitors with some top notch hotels that are known for their services. 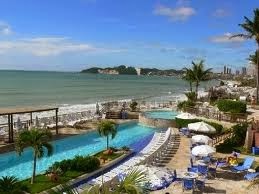 The hotels that top the list include Ocean Palace Hotel, Pousada Toca Da Coruja and L'Hotel. There is so much to be enjoyed in the city of Rio Grande do Norte and the visitors can really have a leisure time here during their holidays. Rio Grande do Sul is the southernmost state in the country of Brazil and is popularly known as the Great Southern River. It also holds the pride of being the chief manufacturer of wine in the country. This beautiful city shares its borders with Uruguay, Santa Catarina, Argentina and the sapphire waters of Atlantic Ocean. This place offers a perfect blend of picturesque landscapes, rich history and culture, exciting activities and much more. The place is also known for its delicious cuisine and drinks like Chimarrao. In order to reach Rio Grande do Sul, the visitors can get their flights booked to the Salgado Filho Airoport which is situated in the capital city of Porto Alegre. The international flights generally arrive in the Rio or Sao Paulo from where you can easily take a flight or rent a car and reach your destination. If you are a party lover and are willing to have ultimate fun, the best place that can be visited by you is the Copacabana Beach. This beach is known for its festivities and attracts millions of party lovers to this place. It’s long stretched beautiful beaches, lifeguard watchtower Two, sea side restaurants and water activities attract numerous visitors to this place. This therelectric station is located Lake Guaiba which is now converted into a place for dance, films and other performances. The side-by chimney located here has been recognized as a symbol of the city. The visitors can also enjoy the stunning views of the sunset from café which is situated at the bottom of chimney. If you are looking for a place that offers complete family fun, this park can be the best option located in the capital city of Port Alegre. The French architecture, a small pond and amazing greenery will surely be a thing of delight for you. Also known by the name of Park of Snail, this park serves as one of the best attractions of the city. The major attraction here is the waterfall. This leisure area is also known for its ecological trails and craft fair. 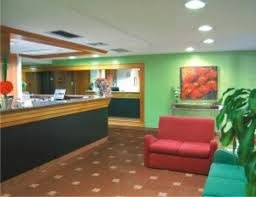 Accommodation in Rio Grande do Sul is highly comfortable with hotels ranging from high budget to medium budget. Some of the top notch hotels which are known for their luxury and outstanding hospitality include Açores Premium, Collins Trade Hotel, Hotel Laguetto Viverone Moinhos, Hotel Poa Residence and InterCity Premium. Rio Grande do Sul is an amazing destination with innumerable delights and amazing parks that really offer fun and excitement.